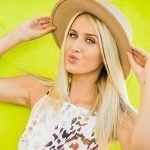 Comprehensive review of Sircuit Skin Cosmeceuticals Infusion- A. See how this retinol cream compares against other wrinkle creams! Sircuit Skin Cosmeceuticals Infusion-A is not my favorite product for many reasons. Most importantly I was not that “WOW-ed” by the changes it made to my skin. This is a very mild product. It contains retinaldehyde which is a derivate of retinol. Although I liked the clarity of my skin and saw a slight improvement in hydration, I don’t think it’s worth $80.00. 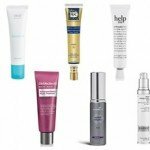 The results that I noticed where pretty common to over OTC lotion and hydrating serum that you would use nightly. I never saw any retinol related results. Again, with that being said, I feel as if this product is WAY overpriced. I also hate that it contains wheat protein. This can lead to huge health related issues if you are celiac or gluten-free. I feel as if this may be a decent product for someone brand new to using any sort of a night serum. It’s so mild and could work well as an entry level product. Other than that, I feel as if there are much better products out there! Sircuit Skin Cosmeceuticals Infusion-A is a light weight orange serum. When I first opened the jar and pulled the dropper out I immediately thought it looked like pulp free orange juice. It’s that thin. 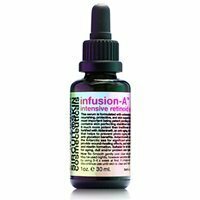 Applying Infusion-A is really simple. After you cleanse your skin at night, you apply a thin layer all over your face. The bottle recommends that when you first start using this product, you only use it 3-4 times per week. However, since I found this to be mild, I used it nightly. Sircuit Skin Cosmeceuticals Infusion-A dries pretty quickly. Although it does dry fast, my face did feel sticky for a bit, probably no more than 5 minutes, so that wasn’t terrible. The smell of this one is not the greatest. It has a very dirty odor to it. Its scent is slightly difficult to describe. At first it smells very acidic, and then you can pick up a hint of citrus and finally that dirty odor comes through. The smell become milder once you apply it, however it still lasts for about 10 minutes. After waking up the next morning after using Infusion-A, I didn’t really notice much of a change. I didn’t experience any side effects, which is always a good thing, but I didn’t see a change either. Longer term I noticed a few subtle changes in my skin after using this product. My skin felt smoother and more hydrated as time went on, which is rare with a retinol product. I didn’t see any improvement to my fine lines; however the overall appearance of my skin did seem to be slightly better. The clarity of my skin stayed great throughout use, and I never experienced any redness or irritation. Infusion-A contains retinaldehyde, which is a mild derivative of retinol. 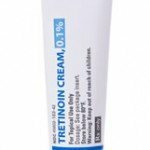 Retinaldehyde, will never be as potent at true retinol. Now Antarcticia is a substance that is intended to heal and protect your skin. I feel as if this ingredient is why my skin was so hydrated during use. I do want to caution you that this serum contains a wheat protein. For people that have gluten allergies, especially if you are celiac, you will want to stay clear of this serum. A one ounce container of Sircuit Skin Cosmeceuticals Infusion-A costs a very expensive $80.00 for just one ounce. Although that is above average for a retinol product, I found it to be even more ridiculous since this serum doesn’t include the most powerful form of retinol. Sircuit Skin Cosmeceuticals offers a 30-day 100% satisfaction guarantee, which is great. To buy Sircuit Skin Cosmeceuticals Infusion-A, click here. Texture/Feel Lightweight serum, that reminded me of pulp free orange juice. Application Apply Infusion –A to cleansed skin each evening. Drying Time Dried super quickly and absorbed within 15 seconds! Smell The smell is not the greatest. It has a very dirty odor to it. Short Term Results The morning after use I didn’t notice any change to my skin. Long Term Results My skin clarity was good and my face felt very smooth. I didn’t notice any change to my fine lines. Price It’s $80.00 per oz….that’s expensive!